Life is busy. However, it is important to take a time out from the hustle and bustle of it all, in order to spend some much needed time with those we love. This is why I've implemented family movie night in our household. It’s something I can honestly say I don't always keep up with but I'm working on keeping consistent - believe me. But I do this in hopes of us getting together and having a great time. 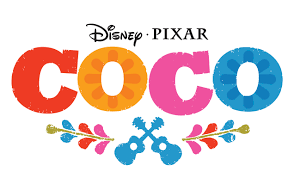 A movie we are currently crushing on is Disney Pixar's Coco. This movie is so adorable and a must see!! Because I’m extra, I try to make movie night extra special with an extra special treat outside of the ordinary. In honor of Coco and the movie title colors, I went with homemade, colorful chocolate covered popcorn, I real treat! We all loved it and of course, I’ll show you how I made it. It's super easy! In a bowl, melt the chocolate wafers (each color individually) in the microwave in increments of 15 sec. This prevents the chocolate from burning. Stir between each increment. Pour the popcorn into the melted chocolate and mix! Repeat this for each color and lay out the chocolate coated chocolate to dry for about 20 min. Side Note: I left some extra plain popcorn aside to add to the chocolate coated ones to mix them in together for that salt/sugar flavor which is amazing! Now, I know I did this with Coco inspired colors, however, you can do it in any color you want. How fun would it be to have friends over to watch the Hulk and to have green colored popcorn?! Huh!? No? Too much? Lol, you get my point!